​From standard-size to mid-size pool enclosures to customized luxury screen enclosures, we take pride in attention to detail and quality workmanship. 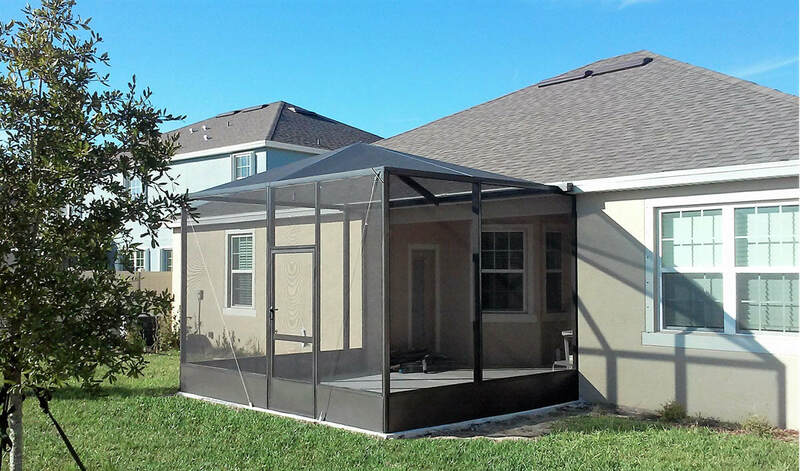 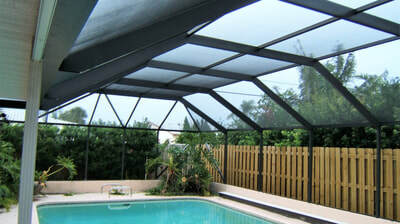 Get started on your new swimming pool enclosure now - protect you and your pool from the elements - allow the sunshine in and keep the bugs out. 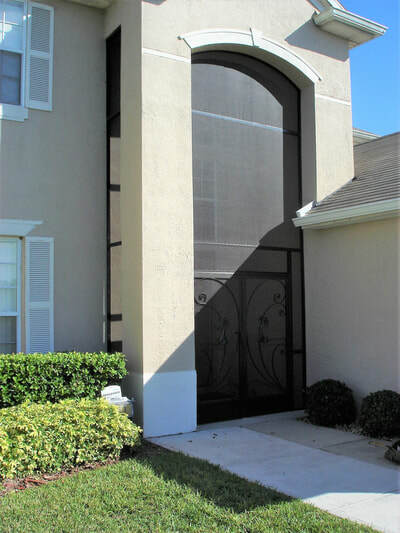 Add curb appeal and allow cross-breezes to flow throughout your home by adding front entryway and door screens to your home. 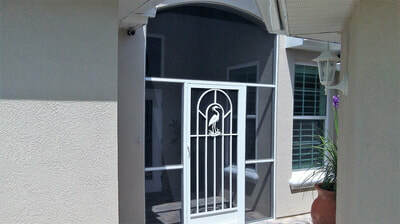 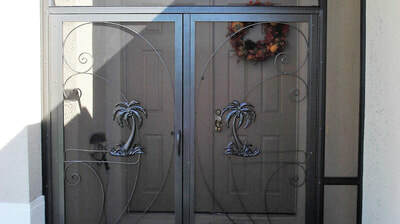 Screened entryways also provide added protection from the elements for your visitors, doors and packages. 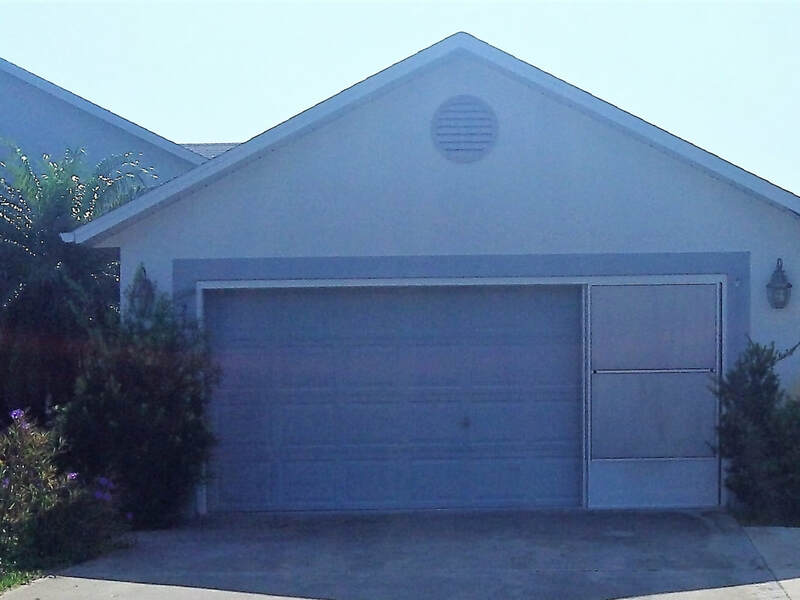 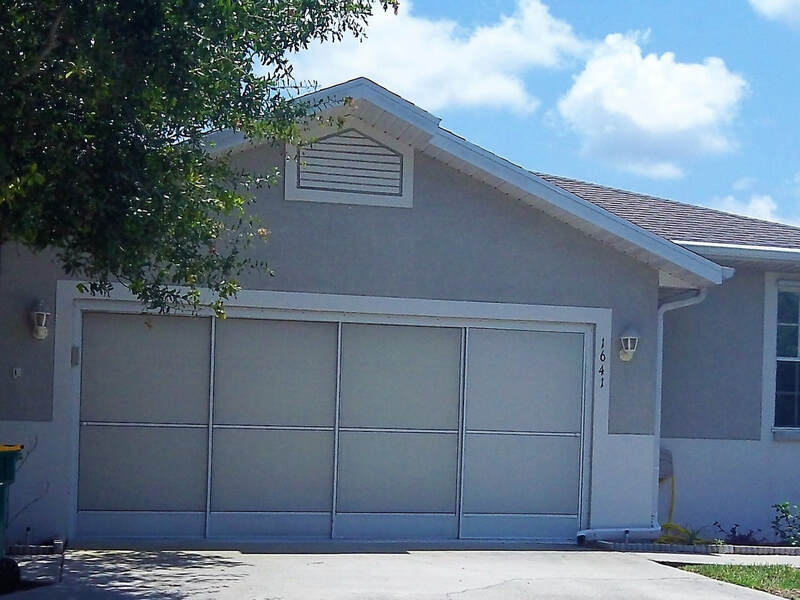 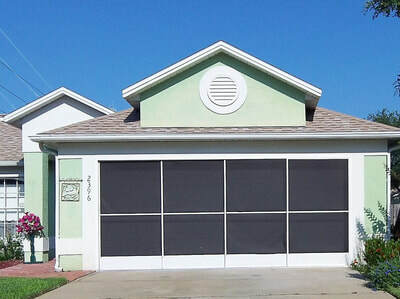 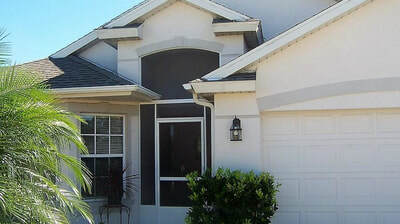 The use of sliding garage door screens is an increasingly popular way to better utilize this area of your home. Whether you want more ventilation, light or additional open space, ask us about the out the variety of garage door screening options available. 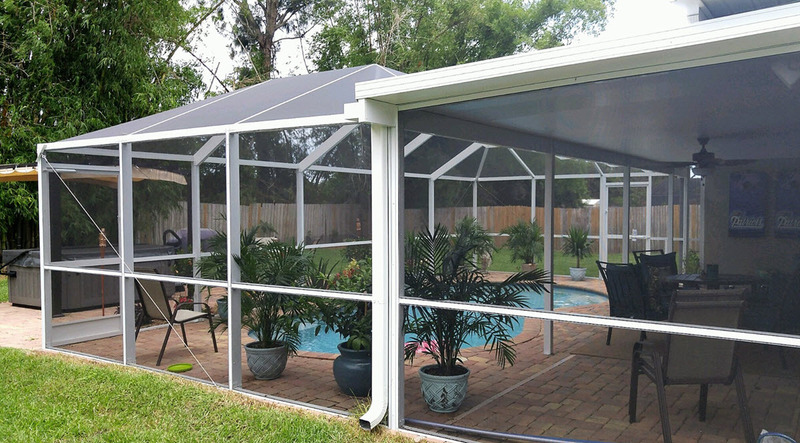 No matter what your concept is to bring additional space to your home, we build that vision to your individual requirements and specifications. 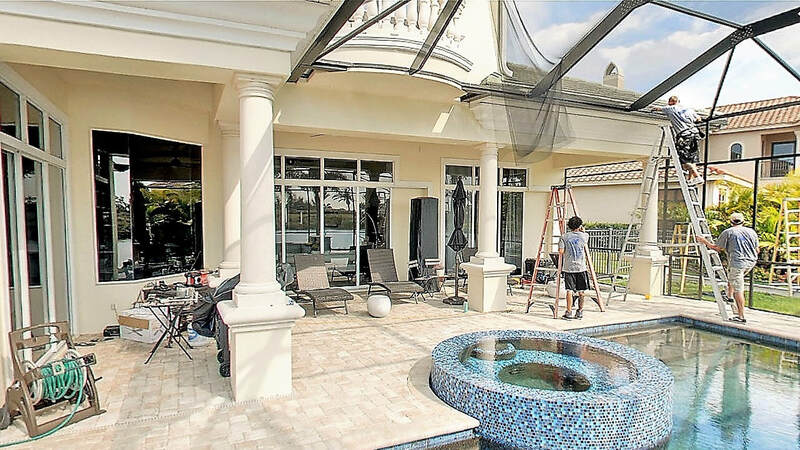 No job is too small or large. 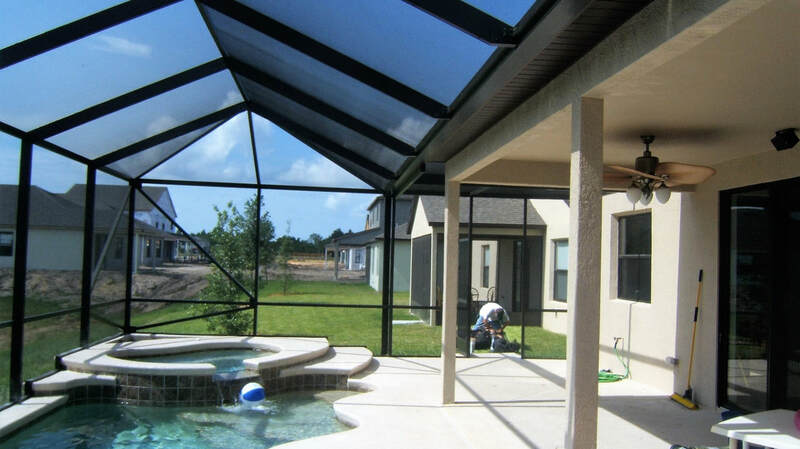 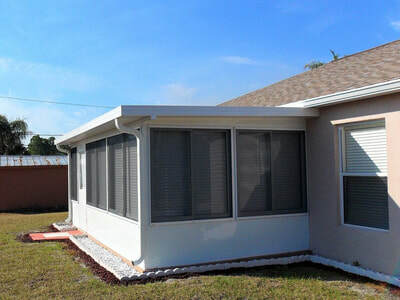 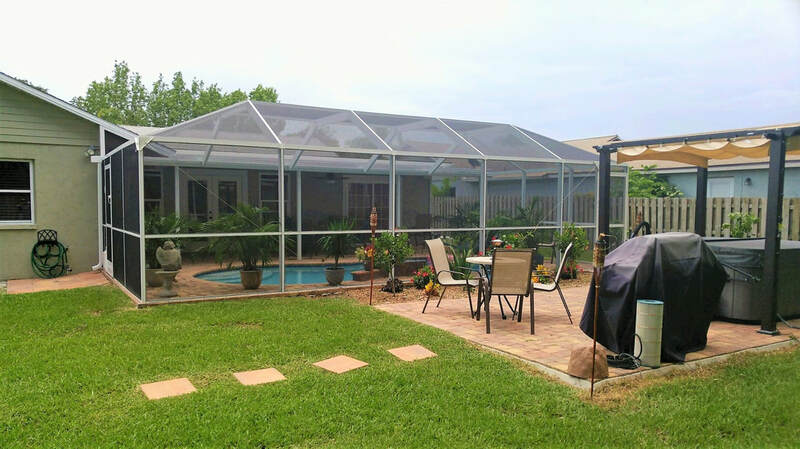 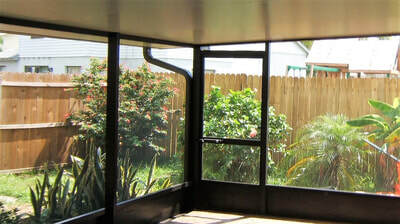 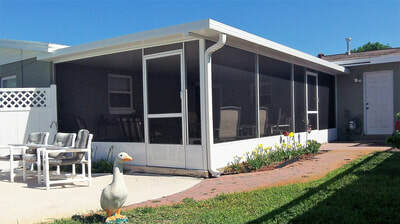 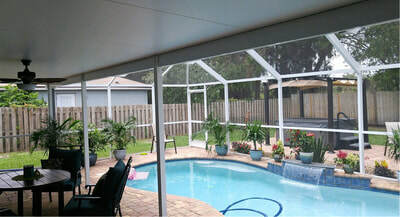 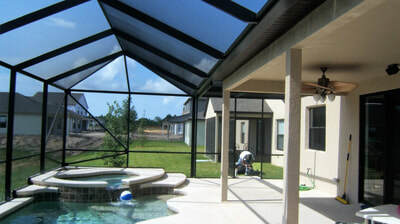 We develop standard screened-in backyard patios, front porches, screened-in additions, additions with windows and roofs, Florida rooms, lanais and large luxury screening projects. 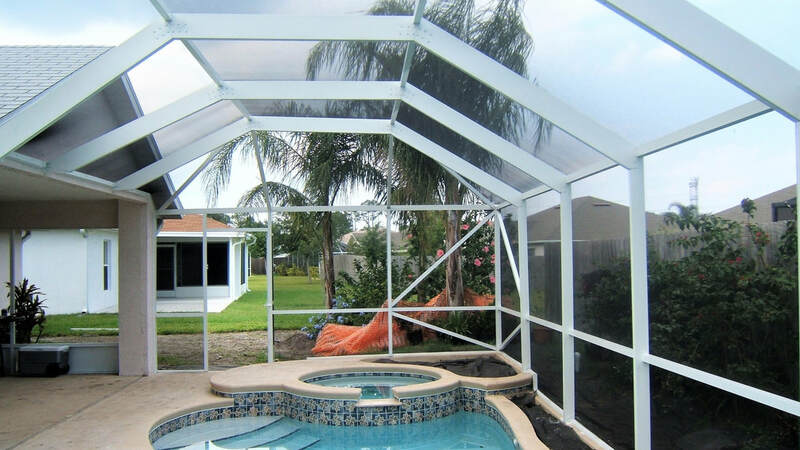 Does your current screen enclosure need a face-lift or repairs? 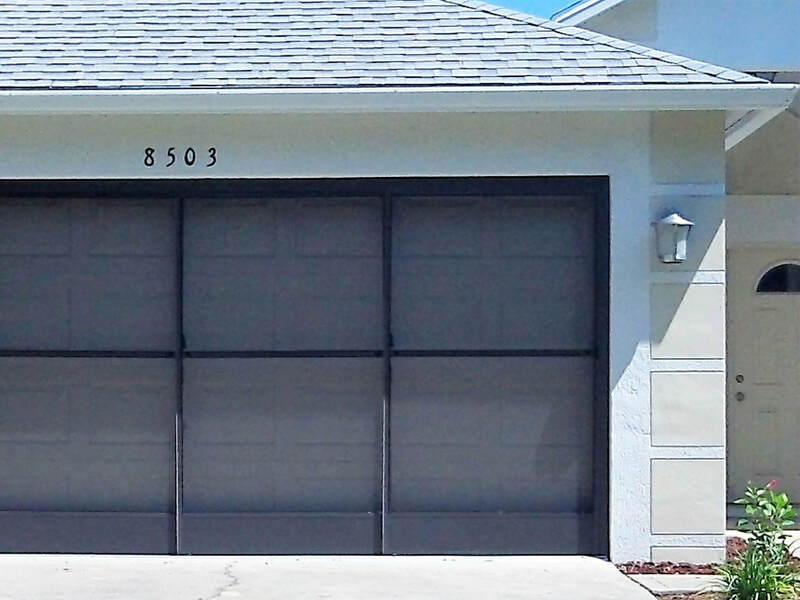 Give us a call and we'll be happy to give you an estimate for a complete re-screening or repair job. Concrete slabs are an essential element of many screening projects. 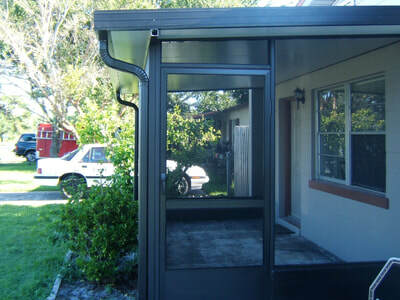 We provide expert pouring of concrete slabs as well as driveways.